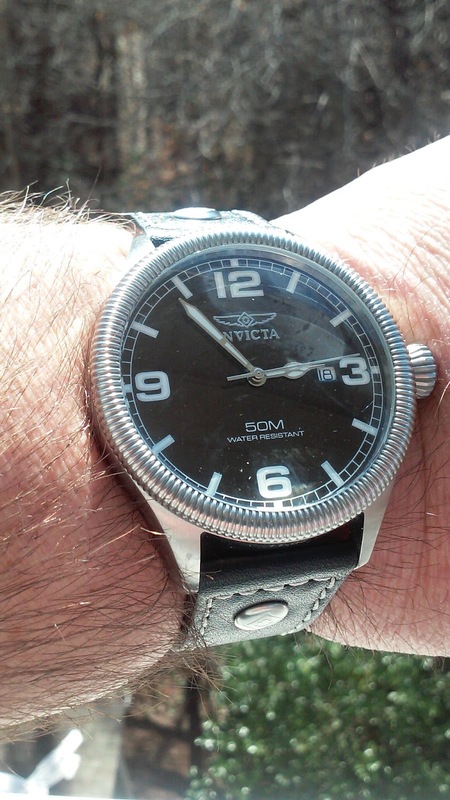 Today, on my way to work, I noticed that there was a trace amount of fog under the bezel of my Invicta vintage aviator-style watch. I popped home at lunch time and set my watch in a sunny window sill on a wash cloth. The fog seemed to clear up. But, on the very next morning commute, the cold AC of the car brought back the fog. It. was time for plan B. My wife had collected a number of dessicant packets from shoe boxes that she threw out. I pulled open the winding stem of the watch and sealed the watch and the dessicant packets in a plastic lunch bag. About four days later, I wore the watch to work. In the morning commute with cold AC blowing onto my wrist, I was fog free. Was I fog free? Nope. By early afternoon, I had my faint fogging back under the crystal. My next step? I'll try to get the caseback off and put the watch in with the silica packets. We'll see how that works. Any ideas?